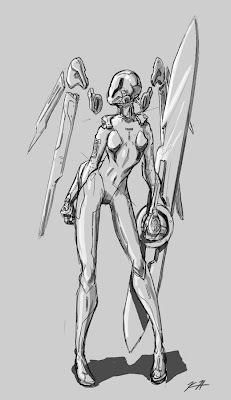 When I was younger, I used to draw a crap-ton more sci-fi stuff. And then I looked at everything on CG Society, cowered, and felt like anything I'd sketched was trite, over-done, cliche, not done well enough, list goes on. I miss drawing sci-fi things, so here's a doodle of a sci-fi chick.